Cultural Compulsive Disorder: It's A Bird.... It's A Plane... It's... SUPER FREDDY!!! Wait.... WHAT??? It's A Bird.... It's A Plane... It's... SUPER FREDDY!!! Wait.... WHAT??? I certainly do love me some Freddy. Nightmare On Elm St is one of my favorite film franchises in history. And the character has grown to levels that no one, not even Wes Craven, could have ever imagined. He has appeared on countless products, especially in toy form. But companies are always looking for a way to bring a new Freddy product to market that is unique and can take the character to new heights. Leave it to NECA, one of the titans of the toy industry, to come up with a great idea for this years 2014 San Diego Comic Con exclusive. Not only did they come up with a great idea... it is one of the most obvious ones that hasn't been done before! 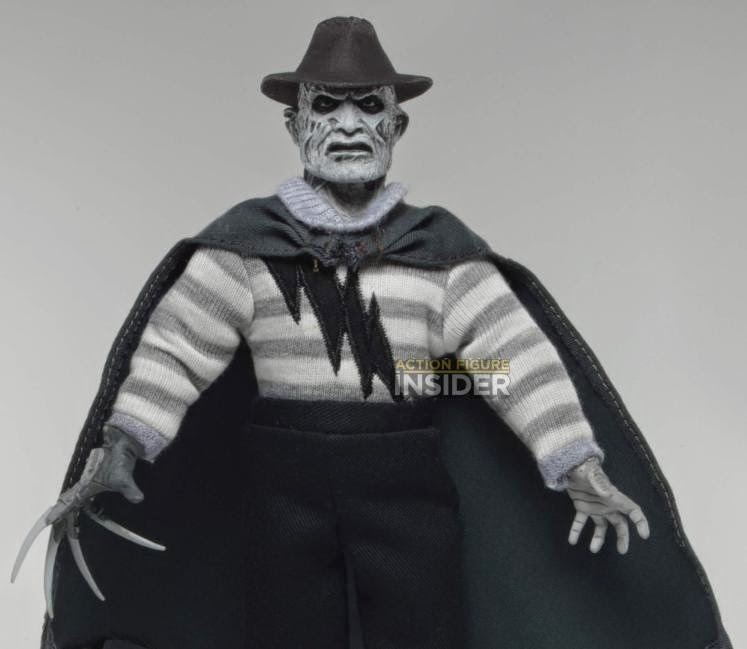 Later this summer NECA will be unleashing Super Freddy. This makes so much sense for a Comic Con exclusive. The toy features an 8.5 inch height, classic felt costume with a cape, and our hero even has his own superhero logo!